Phillips Law Offices is proud to announce that managing partner Stephen D. Phillips has been named to the 2019 America’s Top 100 Personal Injury Attorneys list. The attorneys on this list are considered the best in the nation for personal injury, product liability, medical malpractice, wrongful death, and catastrophic injury cases. America’s Top 100 uses an extensive selection process to identify the best attorneys in the country every year. Candidates are identified either through third-party research conducted by America’s Top 100 or nominations by their peers in the legal community. Each candidate is screened to determine if they meet America’s Top 100 definition of a personal injury attorney, which means at least 50% of their practice is dedicated to this area. America’s Top 100 uses a unique algorithm to analyze these factors and determine how each attorney compares to others in the same geographical area. The personal injury attorneys that come out of this evaluation process on top are then officially selected for this exclusive list. 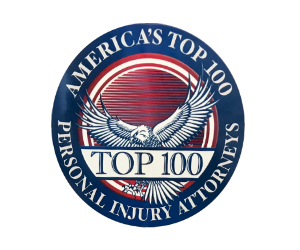 Being included on this list is an incredible honor that is only bestowed upon a small percentage of personal injury attorneys in the country. There are many awards given out in the legal community, but America’s Top 100 differentiates itself with this data-driven evaluation process. 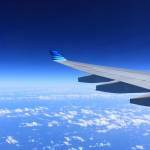 Attorneys cannot simply buy their way onto this list—they must earn it. If an attorney does not make it through the evaluation process, there is nothing he or she can do to secure a coveted spot on the list. This is one of the many reasons why clients should feel comfortable referencing this list when looking for a hard-working and dedicated personal injury attorney who will protect their best interests. Clients who are in need of a personal injury attorney should look for someone who has a track record of success. This is one of the many factors that personal injury attorneys are judged on during the evaluation process. The attorneys on this list, including Stephen Phillips, have demonstrated their ability to reach sizable settlements and win large verdicts for their clients. Hiring an attorney on this list ensures that you will have someone aggressively fighting for the compensation you deserve. There are countless personal injury attorneys in the city of Chicago, which makes it hard for victims to know who to trust with their case. If you are in this situation, it’s in your best interest to turn to an attorney who has been named one of the top personal injury lawyers in the country. After an injury, seek legal representation from award-winning personal injury attorney Stephen Phillips at once. Call 312-346-4262 or submit your contact information via the form on this website to schedule your free consultation.